Vela Woven Chaise Lounges, designed by Brian Mehler, pair an edgy design of curved backs and arms and arched, angled legs with traditional woven materials. 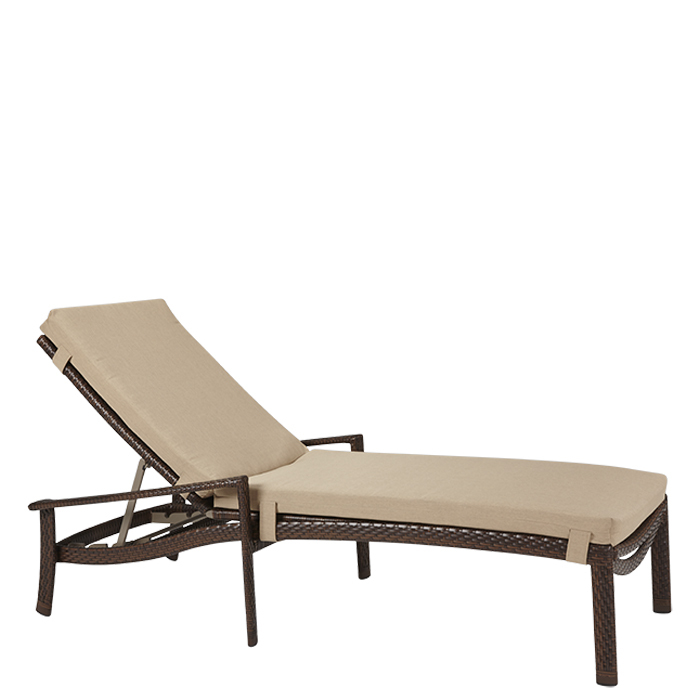 This outdoor chaise lounge features the Strand Synthetic Weave wrapped around an aluminum frame and a full pad for ultimate comfort. The Strand Weave is weather-resistant and available in three colors. The beautiful Vela Woven Chaise Lounge with Full Pad will have you sailing away to an outdoor wonderland.